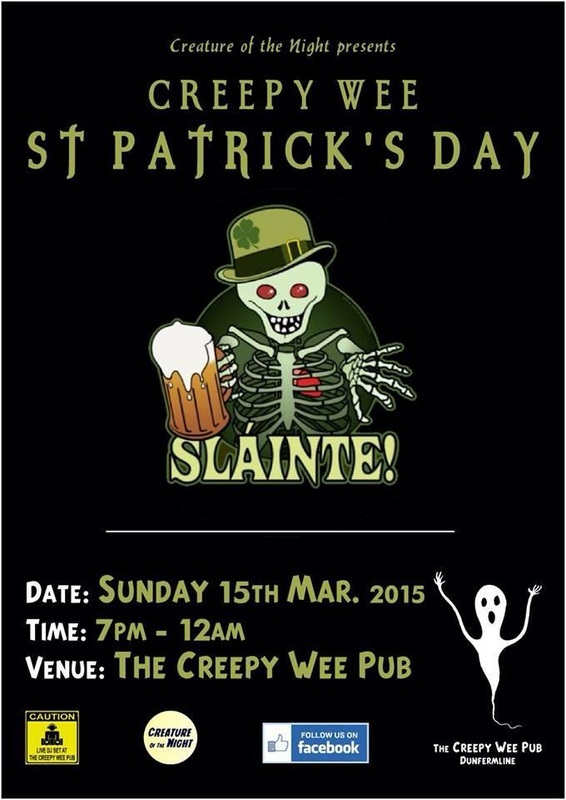 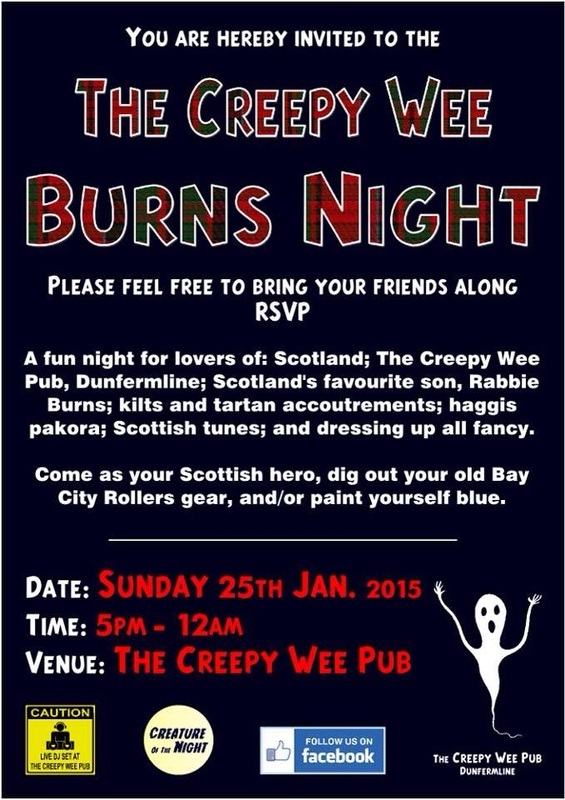 Welcome to The Creepy wee pub, Dunfermline. Below you will find some of our upcoming events as well as past ones. 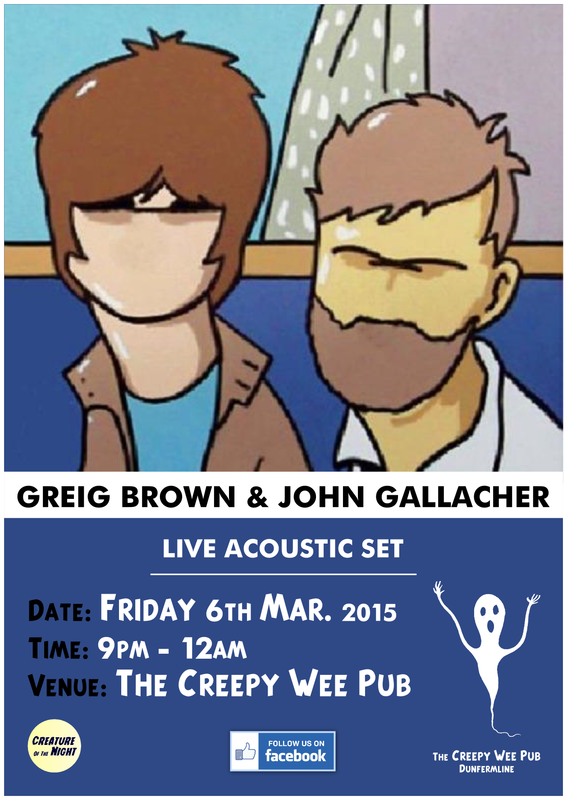 We have a jam session every Tuesday open to everyone who loves music, 8pm until late. 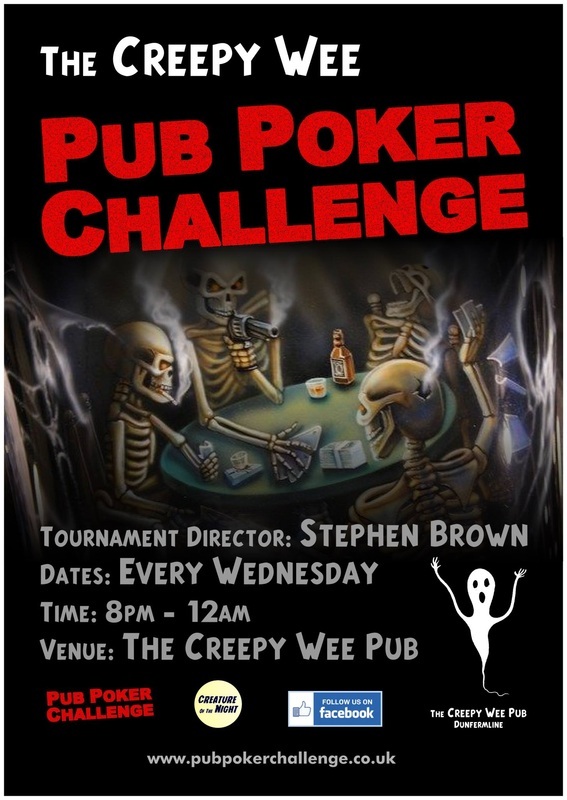 On Wednesdays we have our Texas hold 'em tournament to which beginners are more than welcome to attend. 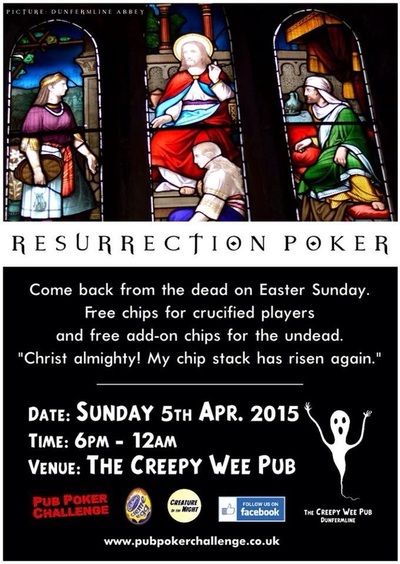 Free tuition is available at the table. 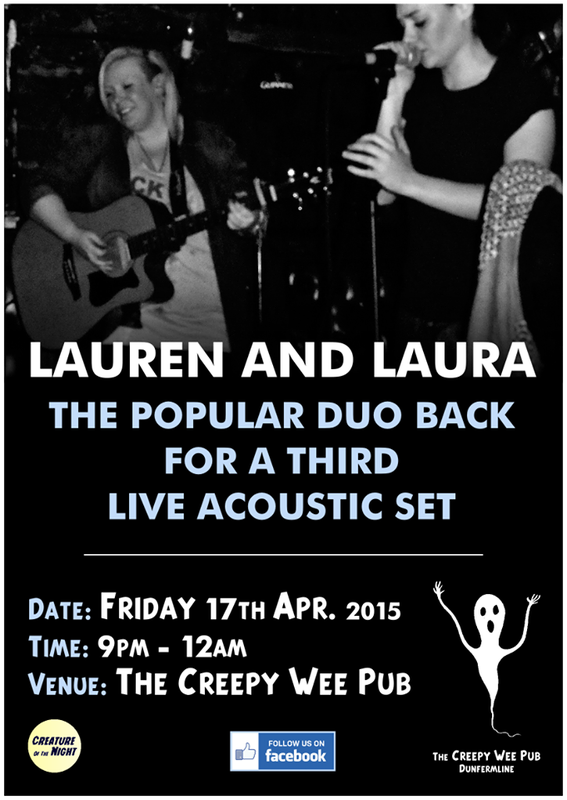 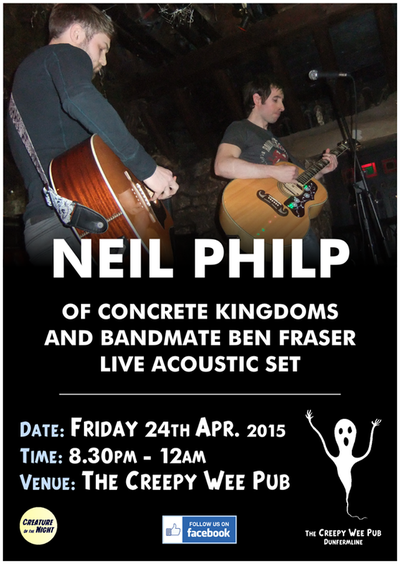 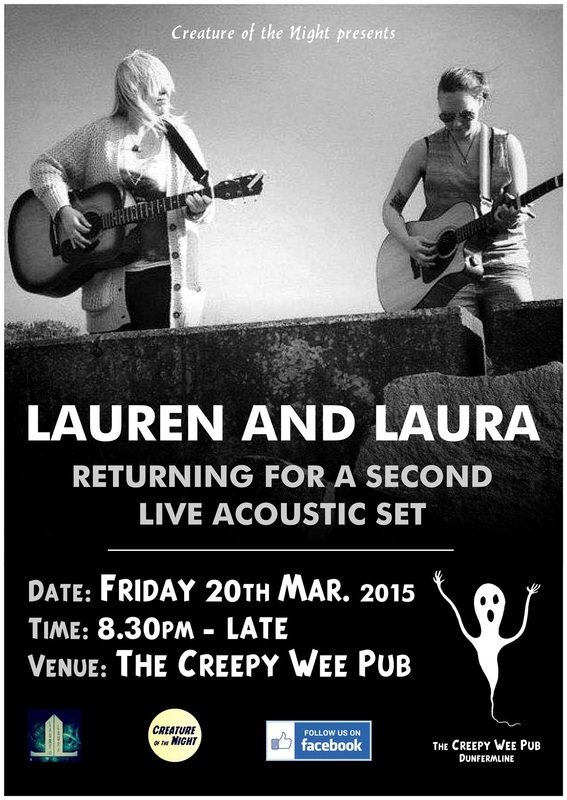 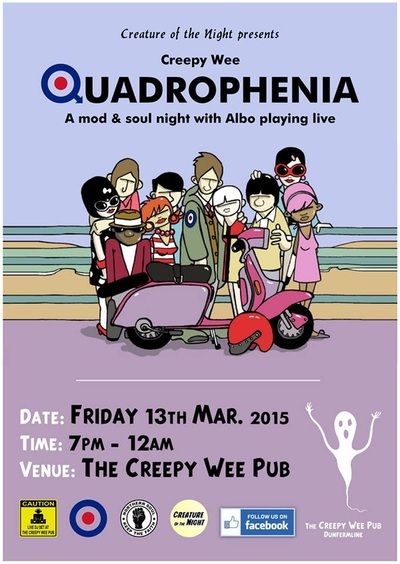 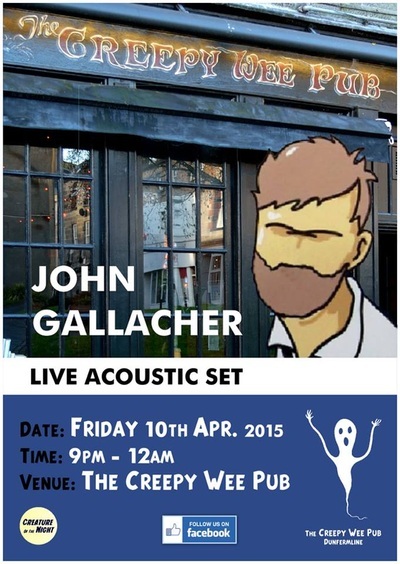 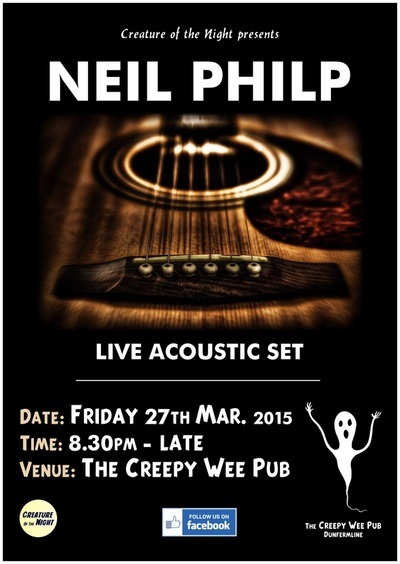 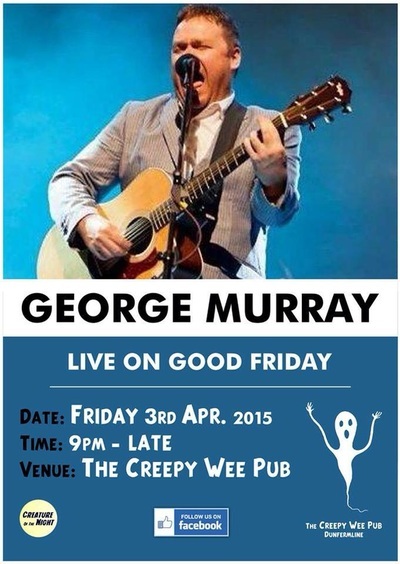 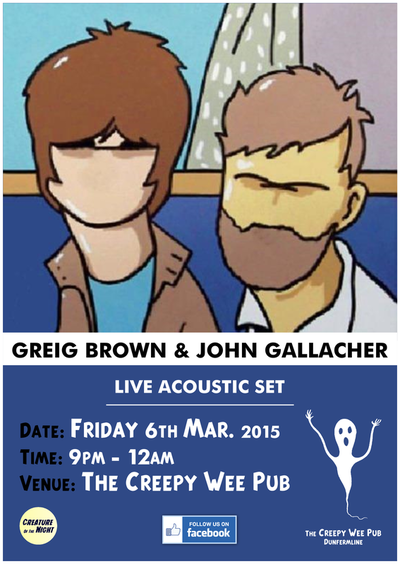 Friday nights we have our "Live at Creepy" acoustic sets. 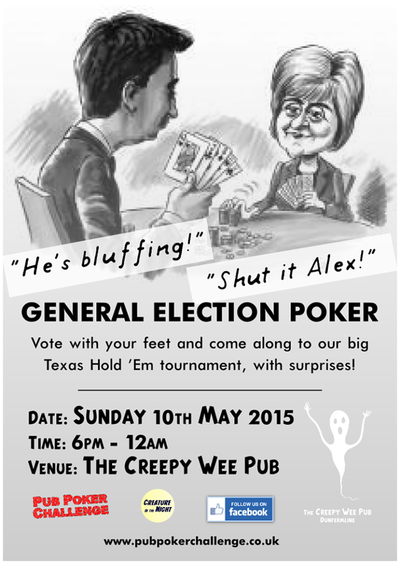 Free juke box Monday-Friday 11-4pm.